Bulrushes are long grass–like plants with no leaves branching from the stem. Bulrushes are grass–like plants that can grow up to 10 feet tall in shallow water. The stem of bulrush is long and round with no leaves branching from it. The stem comes to a point at the end, and flowers may grow just below the tip of the stem. 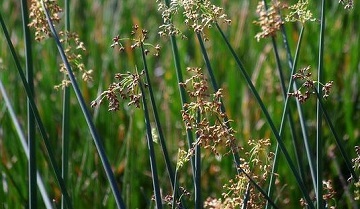 Bulrush can span across the United States. Our Cattail and Waterlily control products work to control bulrush (Glyphosate 5.4 and a Surfactant. You can purchase these products on this website. Read all product labels for complete instructions before applying.